This itinerary begins with a monument however feel free to skip it altogether. Nestled amongst Colombo’s private school sporting grounds is Independence Square with its memorial hall in Kandyan-style architecture and adjacent museum dedicated to Sri Lanka’s independence. This monument and immediate areas are a pleasant way to squander time amongst the (mostly) exercising locals using various walkways and cycleways around here. South of Independence Square is the neoclassical architecture of Arcade Independence Square, originally an asylum then government offices and now a shopping mall. It’s worth walking around admiring the buildings, well maintained gardens and grabbing a refreshment at the T-Lounge by Dilmah but the shops themselves are largely international brands. Otherwise, walk in the north-westerly direction on the left-hand side of the road from Independence Square back up Independence Avenue and once you get to the National Library you can take any of the walking routes on your left to find the space between the Colombo Racecourse and the National Archives. 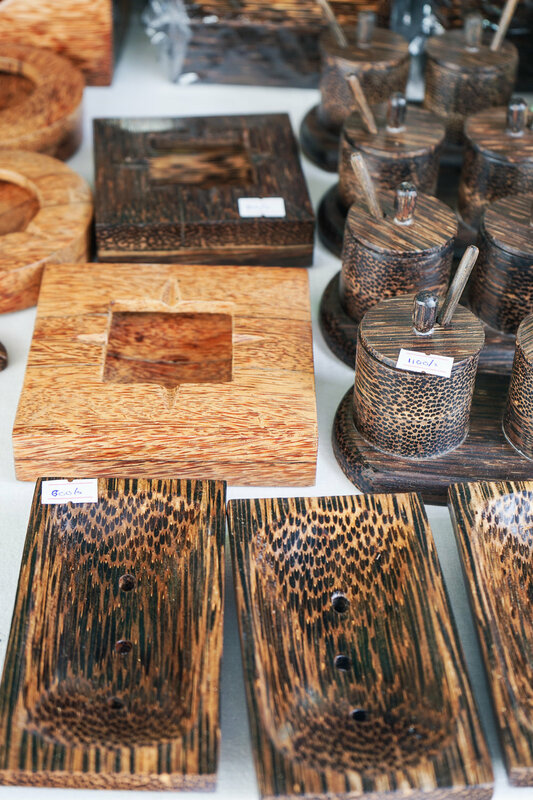 Here on a Saturday morning you will find Good Market, a unique artisan market and social enterprise in Colombo committed to responsible and ethical products. 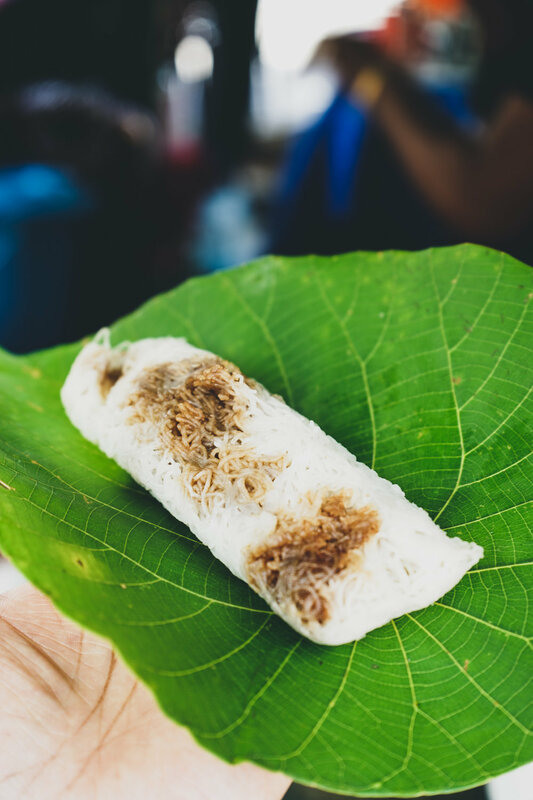 It’s a fabulous place to buy high-quality products made by Sri Lankan creative start-ups, try interesting Sri Lankan cuisine you may not see in cafes or restaurants and just enjoy the relaxed vibe (there’s usually music or entertainment provided). 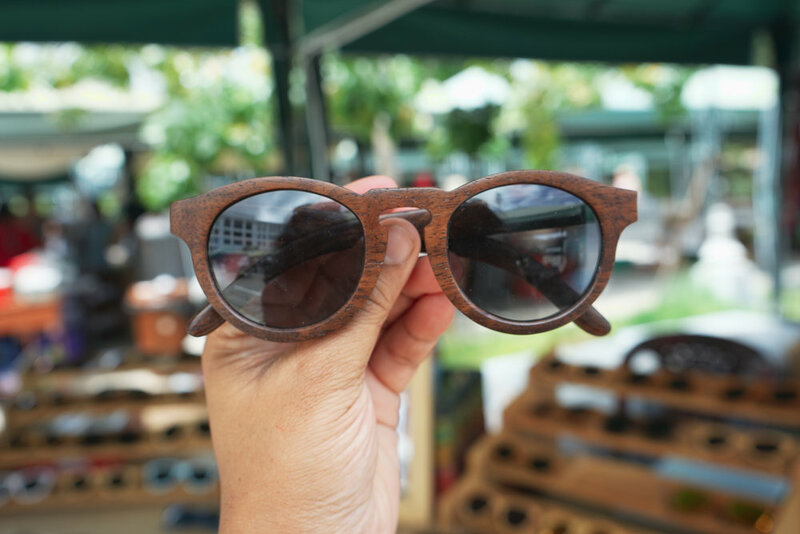 Some of my favourite stallholders include Sumith’s antiques, Original Source and Supply, Natura palmyrah baskets and bins from Mannar, Rice and Carry bags and Parkville sunglasses. However, if it’s not Saturday and you don’t particularly feel like seeing monuments, head directly to the complex of shops across the road from the Colombo Racecourse on Philip Gunewardena Mawatha. Here Good Market does its usual trade selling organic produce and health-focussed groceries, but you can grab a spot of healthy brunch from its Kumbuk Kitchen (yes, that’s Café Kumbuk’s little sister) in the peaceful courtyard. Afterwards, head to the traditional handicraft shop of Lakpahana (directly in front of the Kumbuk courtyard with entrance on the other side). 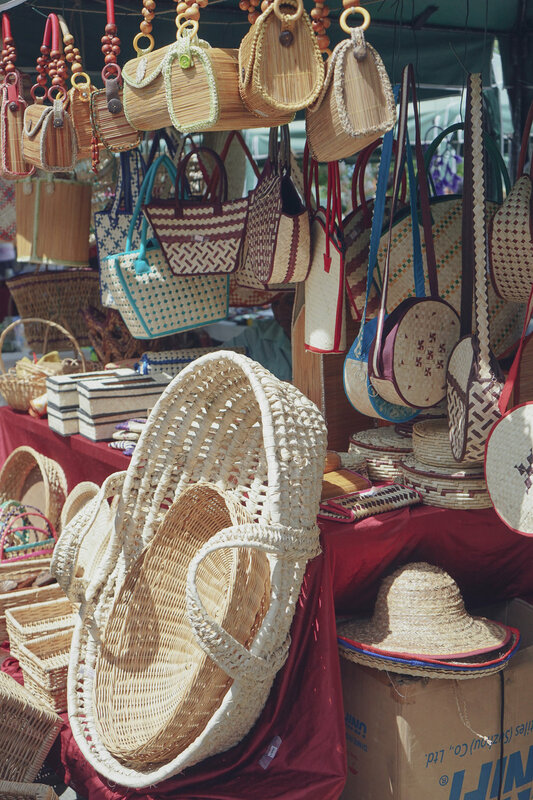 Here you’ll find a mind-boggling array of locally produced crafts from beeralu lace, dumbara mats, painted masks, traditional batiks and more – for the first-time tourist in Sri Lanka, it is hard to go past some of the goods in this store. There’s a luxury spa famed for their use of essential oils and an excellent selection of Sri Lankan ayurvedic products available for purchase just across from Lakhpahana but make sure you have booked ahead if you are considering a treatment as Kemara is popular. Just before you leave the complex on the left is another well curated concept store Zudhora with high-end Sri Lankan designer fashion and accessories often with exclusive one-off pieces. The beautifully laid out stores (there’s actually two of them) includes handbags from the chic label Cane Couture, Kandyan inspired jewellery from Kalon, a beautiful variety of statement clutches and more. In between the two Zudhora stores is Pendi, is my other favourite Sri Lankan homeware and interiors stores in Colombo. Here you’ll find gorgeous cushions from Ena Designs, original artworks from artists like Kavan Balasuriya and Janveeka Gunaratne, ceramics, cane interiors, Glock lamps, hand-made rugs, tea towels with illustrated Sri Lankan recipes and much more.